If you’re anything like the vast majority of exercisers, burning fat and achieving a lean physique are two of your primary goals. And although most exercisers understand some effective ways to lose fat, many miss out on some of the most critical elements that can help you achieve your ideal physique. We’re here to change that and get you on the way to achieving your ideal body! We’ve listed six reasons why you may not be burning fat optimally and how to fix it. Some of these are counterintuitive and might surprise you while others are a bit more basic, but bear repeating because of their importance. Give these tips a shot and keep going after your goals!! Plain and simple, weightlifting is critical for fat loss. If you find yourself jumping on a cardio machine, participating in cardio-heavy classes or going for a jog for the majority of your workouts, it’s time to reconsider your fat loss and weight loss strategy. Adding weight training and high intensity intervals (HIIT) to workout programs has been shown to increase your metabolism, improve your body composition (the ratio of body fat to lean muscle), and improve the efficiency at which your body burns fat rather than muscle for fuel. Yes, you read that correctly—not eating enough can prevent you from burning fat. Though this may sound odd or counterintuitive, not eating enough is a major stress on the body that can cause it to hold onto fat. This is especially true is you are very active and burning lots of calories. Your body is incredibly smart and will do whatever it can to survive. So if it senses that you aren’t taking in adequate calories, it will begin to hold onto fat in order to protect your organs. Not to mention elevate the stress hormone cortisol (which can also blunt fat loss efforts) and psychological stress. 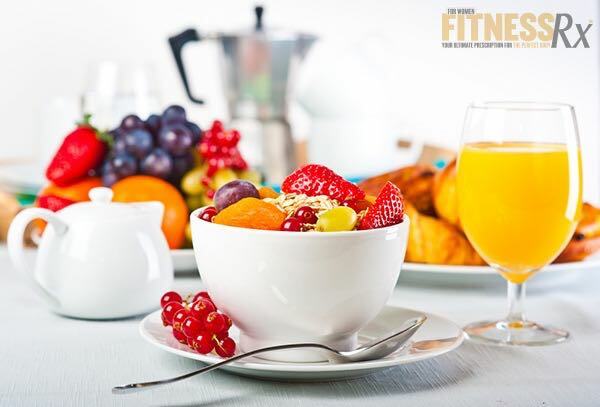 This doesn’t mean that you should go out and eat as many calories as possible, but rather you do need to ensure that you are eating a sufficient amount of calories especially if you are active and breaking down muscle tissue. Protein is especially important so make sure you are getting an adequate amount of protein along with a balance of healthy fats and carbohydrates to keep your metabolism humming along! If you’ve spent time in the gym trying to improve your physique you are probably aware that adequate protein intake is crucial. Besides improving body composition and increasing your fat metabolism, protein also helps you feel more full longer, meaning fewer cravings for unhealthy snacks throughout the day. On top of all this, research shows that protein is great for skin, hair, bones and healthy aging. Like we’ve all heard a million times before, not getting enough sleep is bad for your health. In addition, a lack of sleep can have behavioral consequences as well that impact our physiques in various ways. According to a 2010 study published in the Journal of Sleep Research, sleep loss associated with stress can lead to increased consumption of ‘comfort’ food and obesity. So while it may not be groundbreaking research, we can’t help but tell you to prioritize getting enough sleep if you are serious about improving your health and physique! Here’s another one that might surprise you: worrying about eating right and training hard can be counterproductive. This again goes back to the “stress hormone” cortisol. Studies show that cognitive dietary restraint can elevate cortisol levels. In other words, worrying too much about your diet (or your training) can boost your cortisol levels and make it harder for you to achieve your goal physique. This is especially problematic if you are not eating enough and not sleeping enough, as those are both cortisol boosters as well. It is important to understand that building a lean physique takes time and won’t happen overnight. Nor will it be sustainable if you go to extreme measures like cutting too many calories, obsess about eating only the cleanest foods in perfect ratios at every meal, exercise too intensely without adequate recovery, or you skip an hour of sleep to get in more cardio, etc. This is a recipe for throwing your hormones out of whack, halting your fat loss efforts, and potentially making you give up on your goals. Instead, aim to eat a balanced diet with plenty of protein and calories and don’t freak out if you miss a workout or eat a meal that doesn’t fit your definition of healthy. Also, check out these 5 cortisol reducing foods. Life is about balance, and there is nothing wrong with the occasional night out or wine night with the hubby or friends. That being said, too much alcohol can severely hinder your fat loss efforts. Many alcoholic drinks have more calories than you think, and impaired judgment from one-too-many gives you more wiggle room to eat unhealthy foods in excessive amounts. Studies show that alcohol may also increase appetite and cause overeating at meals compared to a meal served with a soft drink. You don’t have to completely give up alcohol in order to achieve your ideal physique, just do your best to consume it in moderation and consider removing ultra high calorie foods that you might be tempted to consume when impaired. 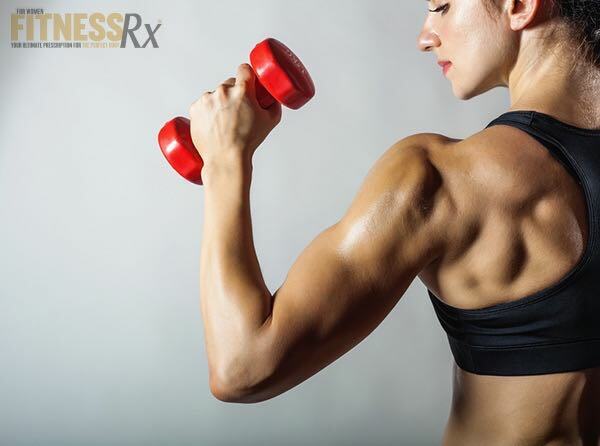 We hope these tips help you in your quest to burn fat and build your ideal physique. Just remember that this process takes time, patience, and balance in order to be successful over the long-term. There will inevitably be setbacks, but if you follow a sensible diet and exercise program along with the tips outlined above, you will be well on your way to hitting your goals. Want some additional ways to help burn fat and build muscle? Check out the Resolution Pack by the team over at PrettyFit. It is a pack filled with supplements and healthy snacks designed to help you achieve your goal physique in 2015!